Before renting a plot of farmland in Newcastle upon Tyne, it's worth understanding what the term covers. You could, for example, use your land for grazing or pasture land if you intend to keep animals. Therefore, when you're happy we can provide you the farmland listings to rent in Newcastle upon Tyne you need. As agriculture is one of the UK's strongest industries, many places including Newcastle upon Tyne ensure that a large portion of available land is dedicated to farming. Official surveys in the UK suggest that around 70% of land is for agricultural use. With our help, renting in Newcastle upon Tyne will feel fresh. 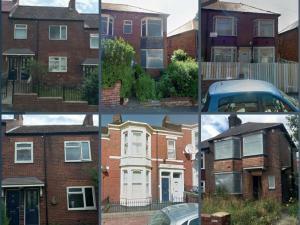 Permanent cropland is one type of farmland you could be looking to rent in Newcastle upon Tyne. Permanent cropland in Newcastle upon Tyne typically refers to land used to grow plants that last many seasons. MOVEHUT's extensive listings are sure to contain the right plot in Newcastle upon Tyne to rent for you, so begin your search with us today. Popular not just in Newcastle upon Tyne but also in the whole of the UK, arable land is a common farmland type you might want to rent. Although arable land is typically used for crops such as corn or wheat, it can also be used for grazing on a rotational basis to keep the soil fertile. So, if arable land is what you're searching to rent in Newcastle upon Tyne, then let the listings in Newcastle upon Tyne make it a reality.